The Sashay Pedal Chair, (48), provides exceptional comfort and is ergonomically designed to encourage self-mobility for individuals requiring long term care. 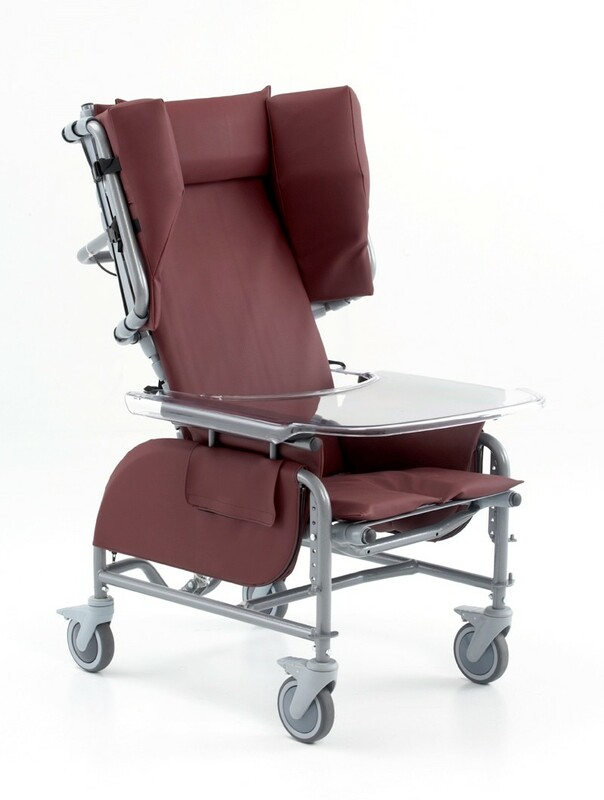 BRODA’s unique Comfort Tension Seating® system provides pressure redistribution and air flow for increased sitting comfort and support. Individuals who are transitioning from independent ambulation to an assistive device while maximizing mobility and independence. Individuals requiring Low to Moderate levels of nursing care. Patient’s within a facility who have a tendency to wander.